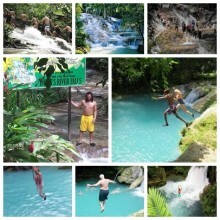 On this Jamaica combo tour, visit the small Jamaican village called Nine Mile. This is the birthplace of reggae legend Bob Marley. Here you'll learn all about the 'King of Reggae' music. 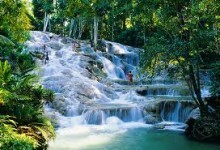 Then we are off to Dunn’s River Falls where thousands of visitors have been thrilled by this 600 ft water falls. 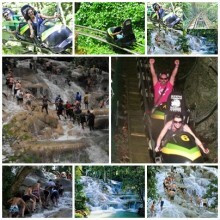 For the adventurous, take the challenge of climbing up this water falls on your own or with the help of a local guide. 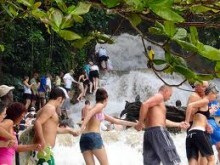 For the less adventurous, there is an inviting beach at the bottom of the falls where the river and the ocean meet. 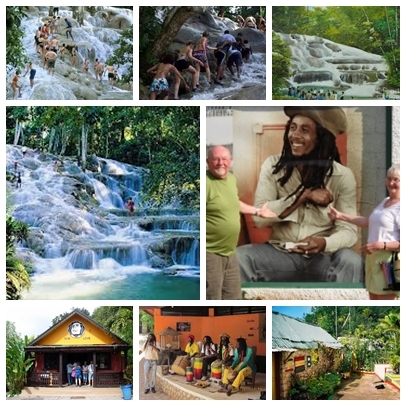 Let Jamaica Exquisite Tours take you to these and other exciting destinations. Our customer support specialists are always ready to assist you. Please contact us or call to speak to a tour specialist.